I am currently a DOJ Employee, Retired Marine Master Sergeant, and Former Virginia State Trooper. I presently live in Fredericksburg Va. with my wife Tina of 33 years. I have 1 daughter Shana, and 2 grandsons Isaiah and Tyler. As a hobby I am a self proclaimed gear head having a love for muscle cars, especially corvettes. Additionally in my spare time I compete as and Multi Sponsored Pro Shooter. With a couple of Television shows like History’s Top Shot to show case my masterful skills as a true marksman and competitor. This is the same dedication that I will bring to you when handling all of your Real Estate needs. Having lived and worked in the surrounding Virginia and DC areas for the past 25 years. Having served 22 years on active duty, I have a comprehensive understanding of what relocating is all about. When entering and leaving the area. Which ever move you are about ready to embark on. I can provide you with current trends in the marketplace using the latest statistics in your local area in order to make sound real estate decisions. I specialize in Local Government, Military, Law Enforcement, and Corporate relocation, Residential home sales, and New Construction. 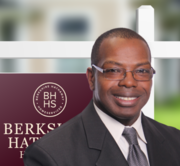 As a former Va. State Trooper an local area expert, I will strive for excellence in ensuring your real estate needs are met with professionalism and diligence. My commitment as your REALTOR is to provide you with the specialized Real Estate service you deserve.